Fish might have a tougher time telling who their chums are if oceanic carbon dioxide levels continue to increase, according to a new report by scientists at James Cook University in Australia. 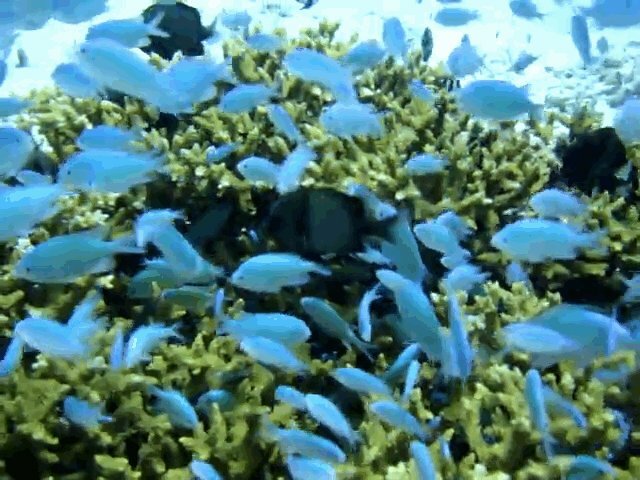 Young damselfish living in a high-carbon-dioxide environment can't tell a school of friendly fish from a strange one, the researchers found. The elevated carbon dioxide levels in the Australian scientists' experiment reflect the Intergovernmental Panel on Climate Change predictions for ocean water in 2100. If the IPCC's estimates come true, that's bad news for fish -- when fish take in too much carbon dioxide, the molecule impairs their brain function. 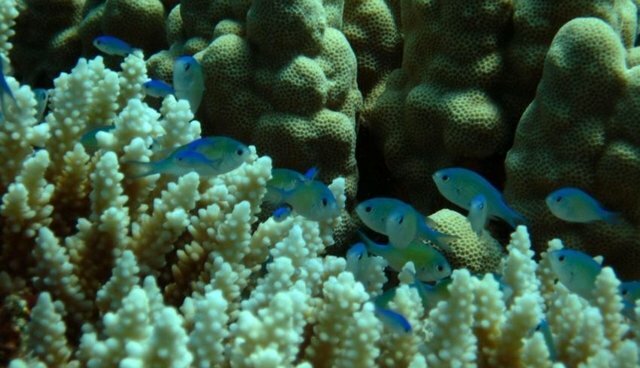 "Familiarity is an important trait for defense, particularly in a predator-rich environment like a coral reef," says graduate student Lauren Nadler, who lead the research, in a statement. "Since half of all fish species in the world school at some point during their lives, including economically important species, these effects could be critical for species that rely on group-living to avoid predators." The James Cook University study comes hot on the heels of a U.N. report that estimates tropical fisheries will decrease by 40 to 60 percent due to increasing seawater temperatures, as fish migrate toward the poles. And high carbon dioxide levels don't just make fish lose their sense of stranger danger -- they also make it harder for the animals to smell predators, too.